We join Twitter and the postings at 140 or less characters to tell the story of the 2010 Indianapolis 500 at the halfway point. The race action at the beginning was just too fast and furious to drop in and set a spell with Twitter until LAP 112 where we pick up the action. There was an accident on the first lap involving Davey Hamilton, the oldest driver to make the show at 47 years old. Davey felt that Tomas Scheckter caused the spin by being where he shouldn't have been at the start of the race ... coming out of the fourth corner. IndyCarPR Lap 112: GREEN. Scheckter leads the field into Turn 1. Sato is issued a 15 second stop and hold penalty for entering the closed pit. IndyCarNation Lead change Lap 114: #10 Franchitti makes pass of Scheckter entering Turn 1. Kanaan makes pass for seconds. Crowd goes crazy. 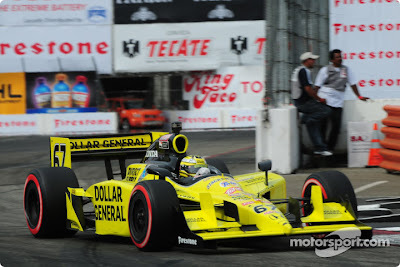 500coverage 3:03 - Tony Kanaan is now in 2nd place after starting 33rd. Marco26Web Marco has used more Push-to-pass than anyone else but the #26 is dialled! Now P4 and still pushing. Newman_Haas We are done for the day. Hope you enjoy the rest of the race. May the best man or woman win! CRASH - Ryan Briscoe slams wall in turn #4 - speculation is cold tires after pit stop! Marco26Web Green flag pit stops shaking out, and Marco would have re-started P2. But we're back to yellow as Briscoe wrecks out. This race now becomes a sprint to the finish with only one Green Flag stop left! Restart - GREEN, GREEN, GREEN - 45 LAPS to go - Everyone hits Push-To-Pass! F1B_Indi Officially the hottest race in the history of ever. Miami would be a cooldown. Ryan Hunter-Reay passes to take over P6 - Townsend Bell gets a Black Flag for Blocking ... gets a drive through penalty. Yellow Flag - 11th car out of race - 22 cars are still running. Andretti Autosport has all cars in the top 10. 37 LAPS remaining/165 run and two cars stay out to gain position - Mike Conway and Justin Wilson of DRR. Restart - GREEN, GREEN, GREEN - 34 LAPS to go! Conway gets swept up. RacingNation @DreyerReinbold running one-wo with 30 laps to go. Mike Conway leads Justin Wilson. However a lot can happen. Conway, Wilson Castroneves, Rahal, and Frachitti round out the top five - this could become an unpredictable win for three of the top five drivers! RacingNation 19 cars on the lead lap with Justin Wilson now leading, 22 laps to go #Helio #Indy500 #needyellowstomakeit. 500coverage 4:03 - Justin Wilson has gone 28 laps since pitting. Castroneves in 2nd has been out for 24. Rahal in 3rd out for 25. They need a yellow. 500coverage 4:04 - 180 laps, 450 miles. Top 10 Wilson, Castroneves, Rahal, Franchitti, Kanaan, M Andretti, Wheldon, Scheckter, Dixon, Hunter-Reay. BeccyGordon Dixon slowed drastically.... Saving fuel???? IndyRacingNut It looks like Helio has this race. He's set himself up perfectly. Castroneves IN THE PITS for fuel. 500coverage 4:12 - The best car all day, Dario Franchitti is now back in the lead with 8 laps to go in the #indy500. Tony Kanaan in 2nd. Kanaan IN THE PITS for fuel from 33rd to 22nd ... and now fuel. Whie Flag - Last Lap and there is a crash - Yellow Flag -Ryan Hunter-Reay and Mike Conway UPSIDEDOWN and without anything left but the driver safetypod. 500coverage 4:20 - Congratulations to Dario Franchitti. But the focus now is for Mike Conway, who had by far the day's most serious crash. IndyCarNation MIke Conway is awake, alert and is being taken to Methodist Hospital with an orthopedic leg injury. toomuchracing RT @shagers: Marco is on IMS Radio saying that he finished THIRD, and got passed under yellow at the end.... Stay tuned. RacingNation Chip wins Daytona with McMurray, Indy with #DarioFranchitti, can he win tonight with Montoya or McMurray? After seeing Marino Franchitti, Dario's younger brother, win his ALMS race with co-drivers Simon Pagenaud and David Brabham ... it was great to see Dario Franchitti win this very next week at INDY. 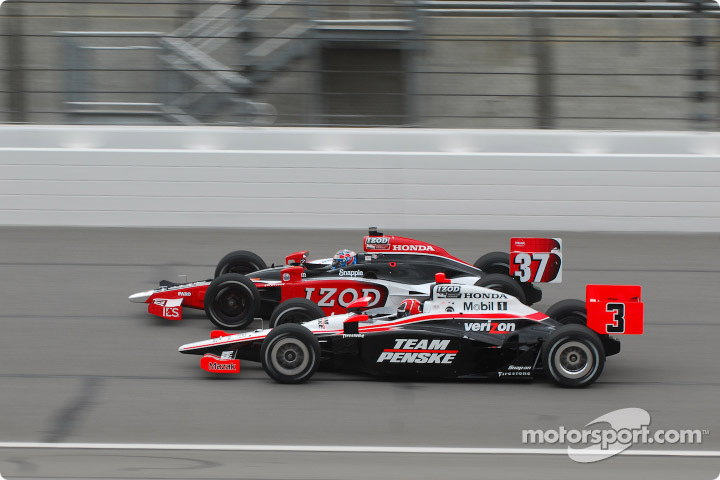 Everyone thought a father/son pairing might be the family story of the week ... and it would come from either the Rahal, or Andretti family, but it is the Franchitti family who are the Kings of Motorsport for the month of May 2010. 14 lead changes and a bunch of negative action that cost many a shot at the race in the pits - Target Chip Ganassi and Dario Franchitti never "got a wheel wrong" and comes up with his second Indy 500 win while saving fuel under a final lap Yellow Flag full-course caution! UPDATE: Marco Andretti restored to P3! Marco Andretti has been restored to third place in the Indianapolis 500 after the race organisers reviewed footage of the moments after the final full course caution was called. The Andretti Autosport driver was originally credited with sixth on the timing screens, but was adamant that Alex Lloyd, Scott Dixon and Danica Patrick had all passed him after the yellow flags came out for Mike Conway and Ryan Hunter-Reay's violent tangle. 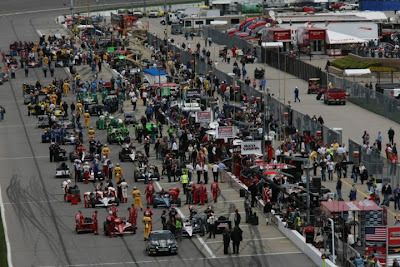 The officials reassessed the finishing order, and just over two hours after the race, a final result was issued with Andretti back up to third place, and Dale Coyne Racing's Lloyd fourth ahead of Dixon (Ganassi) and Patrick (Andretti). 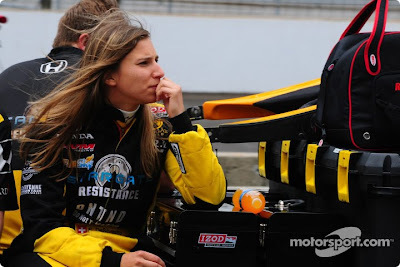 The results were also altered further down the field, with top rookies Simona de Silvestro and Mario Romancini swapping positions in 13th and 14th - making Conquest's Brazilian driver rather than HVM's de Silvestro the highest placed rookie in the results. For the first time in its 94 event history, four women have qualified for the Indianapolis 500, motorsport's most sought after and watched auto racing event. The four women that will appear on the grid of the preset and traditional 33 car field in the following order of qualification are Brazilian Ana Beatriz, driving the Ipiranga/Dreyer & Reinbold Racing car #25 starting from Row 7/P21, Swiss driver, Simona De Silvestro, driving Team Stargate Worlds/HVM Racing car #78 starting from Row 8/P22, American Danica Patrick, driving the Go Daddy/Andretti Autosport car #7 starting from Row 8/P23, and the woman to qualify for more Indy 500 starting fields of 33 cars than any other woman, American Sarah Fisher, driving the Dollar General/Sarah Fisher Racing car #25 starting from Row 7/P21. 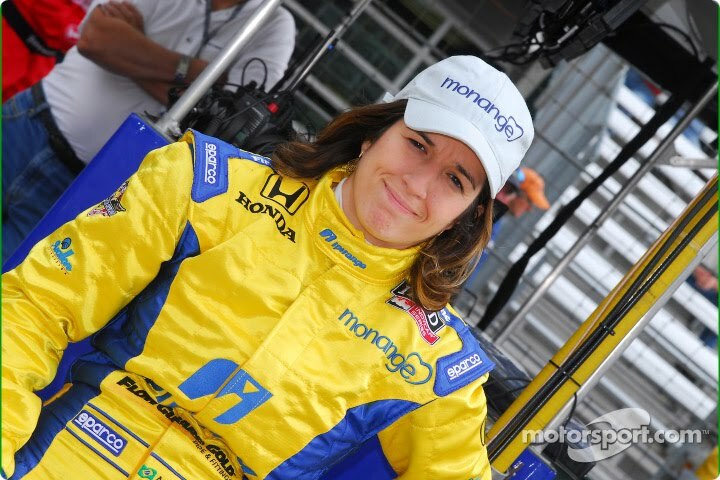 There would have been five women to qualify if IRL regular, Venezuelan Milka Duno had qualified her Citgo/Dale Coyne Racing car #18. What is a bit more amazing is that these four women qualified for a 33 car field that was separated by only 3.0622 seconds from P1 to P33 (the fastest to the slowest qualifiers) - the field for the 2010 Indy 500 is the closest matched field, by time, in the event's 94-year history. 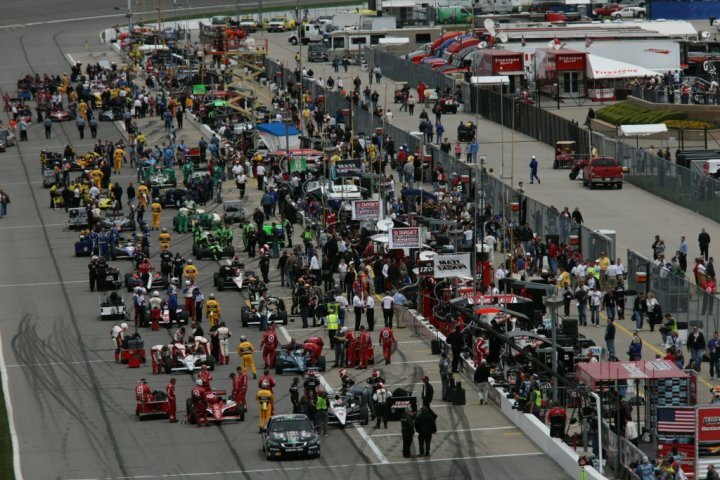 Also, the shortened format for this year's Indy 500 offered new and unique challenges to the 41 entries vying for a spot in the coveted 33 car starting field. This is the first year in modern history that the qualifying format for the legendary race was scaled back to a single weekend, making the challenges of car set-ups, weather conditions and the luck of the draw all crucial factors. We have come a long way since 1977 when Janet Guthrie became the first woman to ever qualify for this grueling test of man (woman) and machine. She was Top Rookie and set set fastest time of day at Indianapolis on May 7 and May 22, 1977. The very next year (1978), her ninth-place finish in the Indianapolis 500, with a team she formed and managed herself, was the best by a woman until 2005 when Danica Patrick was able to post a fourth place finish. The only other woman to compete at the "Brickyard" was Lyn St. James starting in 1992, qualifying 27th and finishing 11th. 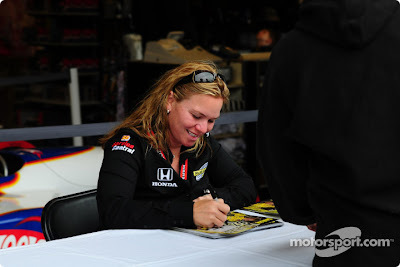 She went on to compete in six more Indy 500's qualifying as high as P6 but never bettering or equaling her first finishing experience. It began as a response to General Motors Co.'s strategy of building a "Ladder" of brand nameplates so that as a customer grew in income and status, so would his choice of GM car. It was a strategy of customer retention, automobile culture development, and corporate growth that propelled GM to pass ford as the world's largest automobile manufacturer. Mercury, which began life as a responsive idea from Edsel Ford, the son of the founder of Ford Motor Company, Henery Ford, now joins the dust heap of cultural nameplates that carried its own identification just to hear the sound of the name, like Oldsmobile, Pontiac, Plymouth, Saturn, and this is just since the turn of this century! "Mercury is a brand that has lost its meaning in the American automotive marketplace and it isn't worth trying to change that," Edmunds.com CEO Jeremy Anwyl said in a statement. 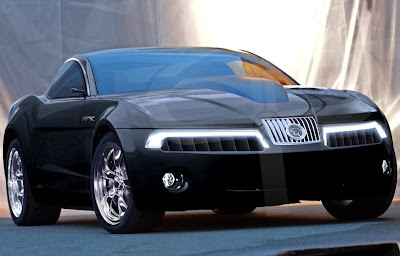 Mercury was supposed to give Ford a mid-priced car that fit between the more pedestrian and inexpensive Ford models and its more luxurious brand, Lincoln. 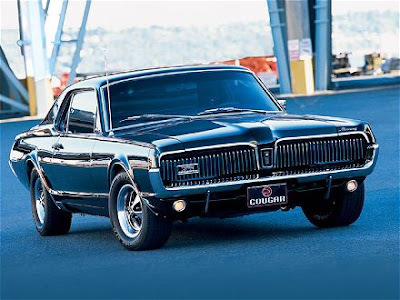 For several decades that strategy seemed to work, with Mercury, especially with breakout models such as the Cougar and the popular Marquis selling well. So Mercury joins all of the other nameplates on the pile that also include Studebaker, Hudson, Packer, Nash, American Motors ... which included the models of Rambler, Pacer, Javelin, Marlin, Ambassador, Spirit, and Hornet ... with Tucker and DeLorean thrown in for good measure. Today, the only place one might find a Cougar would be as a principle character on a TV sitcom, or trouble on a cruise. The Monterey hills were greeted with a wondrous, but a little chilly, spring day for the third test of the nine race 2010 American Le Mans Series season. The wind blew at times and the day's temperature never hit 70 degrees causing tire adhesion problems for some of the contenders throughout the day. One car even spun as it entered the front straight ready to take a restart, and another overshot the corner entirely and caused a wreck from which it never fully recovered ... from one of many Yellow Flag Caution periods throughout the race. All in all, the race was hotly contested throughout the six hours until the checkered flag flew and the fireworks from the Mazda bridge, located just past the Start/Finish line, lit up the sky. At 8:18 pm (5h 48m running), Checkered Flag. Marino Franchitti (#1-LMP HPD ARX-01c) crosses the line to take the overall victory. Christophe Bouchut (#55-LMPC Oreca FLM09) wins in class by 7.105 seconds over Tom Sutherland (#36-LMPC Oreca FLM09). Patrick Long (#45-GT Porsche 911 GT3 RSR) wins the closet battle just 0.365 seconds ahead of Joey Hand (#90-GT BMW E92 M3) and 2.766 seconds ahead of Oliver Gavin (#4-GT Chevrolet Corvette ZR1). Jeroen Bleekemolen (#54-GTC Porsche 911 GT3 Cup) lead flag to flag beating Andy Lally (#63-GTC Porsche 911 GT3 Cup) by move than one lap. Marino Franchitti (#1-LMP HPD ARX-01c) records his 3rd ALMS win. Simon Pagenaud (#1-LMP HPD ARX-01c) records his 7th ALMS win. David Brabham (#1-LMP HPD ARX-01c) records his 21st ALMS win. Christophe Bouchut (#55-LMPC Oreca FLM09) earns his second ALMS victory. Mark Wilkins (#55-LMPC Oreca FLM09) earns his first ALMS victory. Scott Tucker (#55-LMPC Oreca FLM09) earns his second ALMS victory. Joerg Bergmeister (#45-GT Porsche 911 GT3 RSR) now has 31 ALMS wins. Patrick Long (#45-GT Porsche 911 GT3 RSR) with 17 ALMS wins. Jeroen Bleekemolen (#54-GTC Porsche 911 GT3 Cup) earns his second ALMS victory. Sebastiaan Bleekemolen (#54-GTC Porsche 911 GT3 Cup) earns his second ALMS victory ... and first in the United States. Tim Pappas (#54-GTC Porsche 911 GT3 Cup) earns his second ALMS victory. Marino Franchitti (#1-LMP HPD ARX-01c) “Procedurally this was a great performance for the team. Simon's drive was just a pleasure to watch. David got in and backed us up and got is a bit more of a lead. I knew the Dyson car was a bit of a terrier and I knew I didn't want to let them go. The guys made a great call not to put on new tires right there at the end. I was definitely hanging on for life, it was a bit like drifting or rally driving. It was great to have no damage and keep it together cause the car leaves Friday for Le Mans. So this is great heading to France.” (about the last stop) “Perry, our Michelin guy looked at our tires and said we were good. Falling back into Spring, this race will rest for at least another year. It was good to be back so soon, now on to Le Mans, then the second have of the North American Tour begins. Bobby Rahal, glad to hear his son, Graham Rahal made the nine car Shoot-Out to get into the IRL field for one of the set 33 positions in the field at the 2010 Indianapolis 500 yesterday, flew in to the Monterey area from Barber Motorsports Park in Alabama to oversee the activities of his Rahal Letterman BMW M3 GT ALMS team. What greeted him was the following bit of damage to the #90 driven by Dirk Mueller ... at the time of this posting, it is unknown if the car will make the field. At 10:31 am, Dirk Mueller (#90-GT BMW E92 M3) into the pits with damage to the right front, right rear, and rear end of the car. 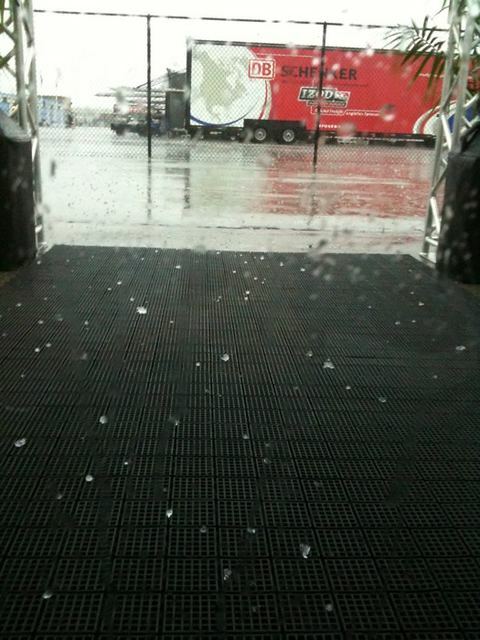 Apparently the car spun with contact but was able to drive back to the pits. This will be a big repair for the car before the race. There are left-over BMW parts near the tire barrier coming out of turn 6, it looks like this is where the incident occurred. ... and the curtain is drawn. UPDATE: It's just like ... it never happened! The BMW Rahal Letterman Racing Team fought to its third consecutive podium (four total for the season) with a second place finish by the No. 90 M3 GT of Joey Hand and Dirk Müller in today’s six-hour American Le Mans Series race at Mazda Raceway Laguna Seca. It was announced today that Graham Rahal will drive the No. 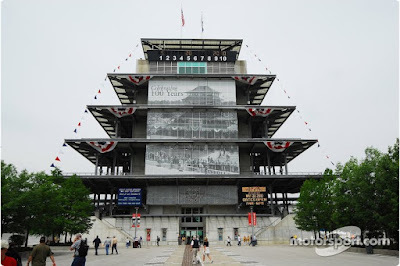 30 Dallara/Honda fielded by his father, Bobby Rahal, in a one-race deal for the 94th edition of the Indianapolis 500 with Rahal Letterman Racing. The sponsor is expected to be announced sometime before the first practice session on May 16, 2010. There have been generations from famous racing families before, but most felt that this came as a surprise given that Long Beach Motorsports Walk Of Fame honoree, Bobby Rahal was on record saying that he wanted his son to be able to make a name for himself out from under his, Bobby's, shadow. 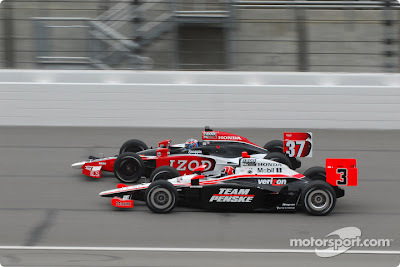 Graham has won in the IRL (St. Pete, 2008, as the youngest ever driver to win a IZOD IndyCar Series race) and had some good history with Newman Haas in ChampCar so it was felt the time was right for the Rahal generations to mount an effort of their own. 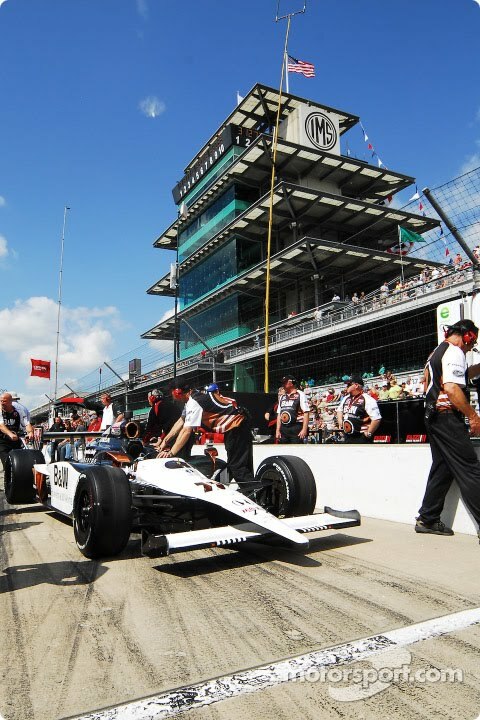 Given that Graham has been mostly caught out in the shuffle this season, Rahal drove in three of the first four IndyCar Series races for Sarah Fisher Racing, but does not have a full-time ride with any team for the season. 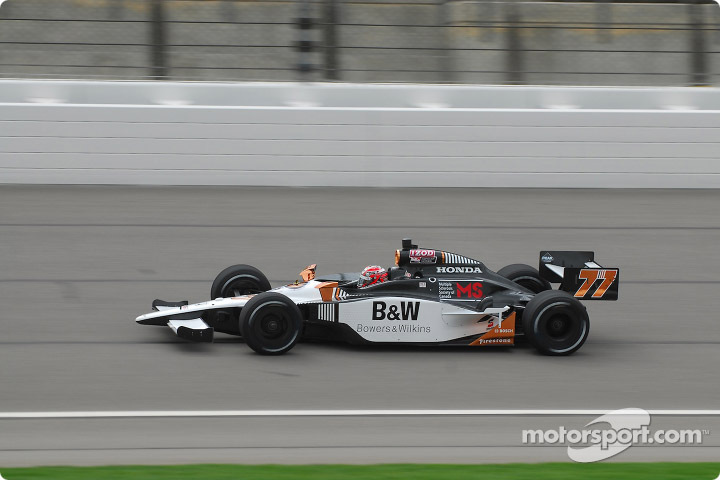 So he now has a one-race opportunity to start and hopefully finish his first Indy 500 - Rahal has failed to finish in two previous Indy 500 starts. After previously saying he wanted his son to drive for another team to establish his own identity, Bobby Rahal said Tuesday that the timing was right for the generational merger at the Brickyard. "I think he has proven he belongs and I'm thrilled to have him," said the three-time CART champion, referring to his son's historic 2008 St. Petersburg victory that made him open-wheel racing's youngest winner at 19 years, 93 days. "It's flattering when your child wants to do what you do, even better when he wants to do it for you." "I've made my mistakes there [INDY]," Graham Rahal said. "The main thing is to get to the checkered flag." Knowing the competitive nature of Bobby Rahal ... he will bring the best equipment and engineers for this first time effort put forth by the Rahal family. Graham could come in as a dark horse winner given that Bobby, as a team owner (2004) and a driver (1986), has captured wins at the Brickyard and drank (worn) the quart bottle of milk! Qualifying was delayed yesterday due to rain and hail. 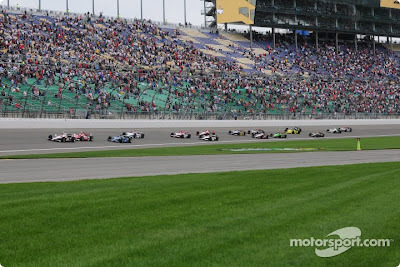 Dan Wheldon and Marco Andretti have been put to the back of the grid for today's Kansas IndyCar race after they were judged to have illegally crossed the white line at the bottom of the track during their qualifying runs. Wheldon's third place had been his best qualifying result since rejoining Panther last year, but he remains optimistic that he can still have a strong race from the tail of the field. Andretti had qualified 11th before the officials' ruling. The demotions mean Dario Franchitti and Hideki Mutoh move up to third and fourth places, with Fazzt's Alex Tagliani and Foyt's Vitor Meira are sharing row three - great starts for them both. The command was given for the drivers to START YOUR ENGINES - Row by row call out as HOT! MyNameIsIRL Wheldon is out "in-car commentator". Dan starts talking about the car and...he stalls it. Note: "in-car commentator" is rarely a good idea. 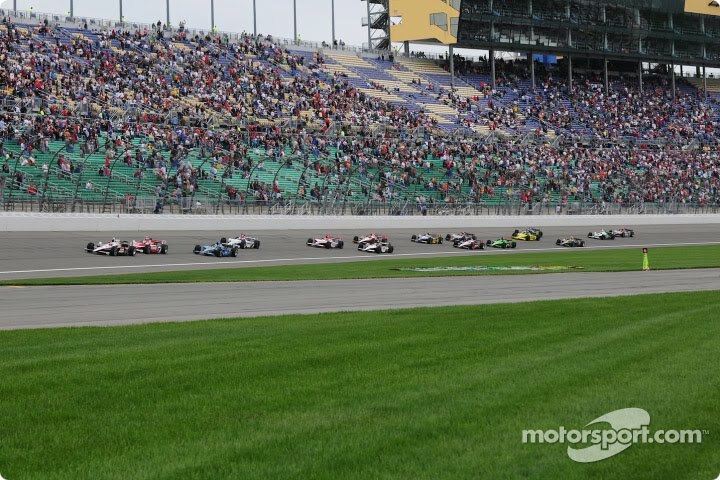 Fresh tires and three wide they enter into the first few turns on an overcast day in Kansas. pressdog Monitoring @simdesilvestro @sarahfisher @danicapatrick. TheSpeedgeek milka is threatening to pass justin. it's been a good life everybody! apocalypse comes tomorrow! toomuchracing What's up with Justin? RT @TheSpeedgeek: milka is threatening to pass justin. it's been a good life everybody! apocalypse comes tomorrow! IndyCarPR Lap 33: #9 Dixon bids for the lead on Frontstretch and completes the pass of #6 Briscoe in Turn 2.
autoracingnews After the first round of pit stops, Dixon leads at Kansas Speedway. Championship leader Power falls behind after a lengthy pit stop. MyNameIsIRL Penalty of some sort for Viso on the pit stop. Now he's back to 18th. Dammit. pressdog @sarahfisher67 is driving a pig. @simdesilvestro is putting up goot lap times. Spotters on fire for her. autoracingnews Dixon on fire; has put Danica Patrick and Marco Andretti a lap down. 11 cars left on lead lap. Caution is out. kvracing Lap 72 Yellow Flag for Viso. Moraes is 8th, Sato 11th. MyNameIsIRL Scott Dixon is the opposite of racing excitement. There, I said it. kvracing Sato back in pits for new tires after being pushed into grass coming out of pit lane in last stop. Moraes is 10th. IndyCarNation Lap 76: Leaders on pit road for four tires and fuel. Lap cars of #26 M. Andretti, #66 Howard, #2 Matos, #12 Power and #24 Conway do not pit. DRRIndyCar Mike is getting a wave around and will be back on the lead lap. Being asked to conserve fuel. DRRIndyCar Reached the halfway point. P15 with Mike and P21 with Justin. MyNameIsIRL And here's Danica making a pit stop. Really ESPN, this is embarrassing. MyNameIsIRL Hideki Mutoh is now 4th. Mutoh Mania rises to a near fever pitch! TheSpeedgeek @FuriousWedge vitors lost 4-5 spots every stop today. never fails. MyNameIsIRL The Ganassi cars have already pulled away by almost a second from Kanaan. Try to act shocked. 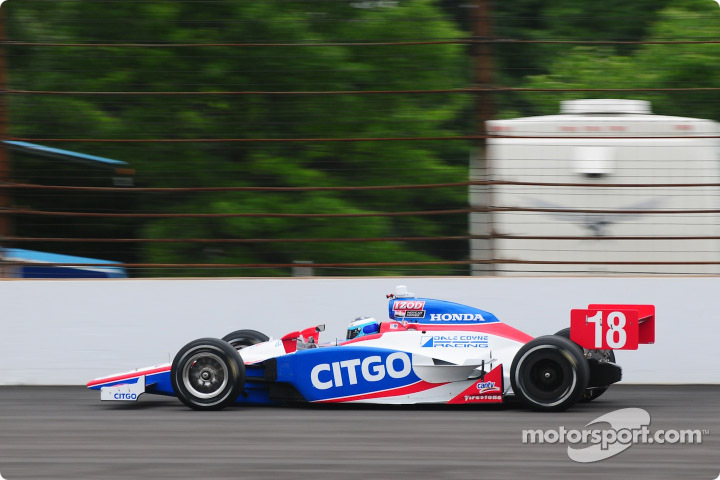 IndyCarPR Lap 140: #9 Dixon leads #10 Franchitti by .3053 of a second. IndyCarNation Lap 145: #9 Dixon leads #10 Franchitti by .5415 of a second. TheSpeedgeek who knew taku'd be better at the ovals than the roads? anybody? MyNameIsIRL Takuma Sato, reported "road course specialist" is up to 6th. Mutoh in 4th. Japan is well represented this week. TheEDJE @MyNameIsIRL What are they puttin' in the Sushi in Kansas? Steak? IndyCarPR Lap 160: #9 Dixon leads #10 Franchitti by 1.8959 seconds. #2 Matos and #26 Andretti on pit road four tires and fuel. IndyCarPR Lap 161: #6 Briscoe pits for four tires and fuel. 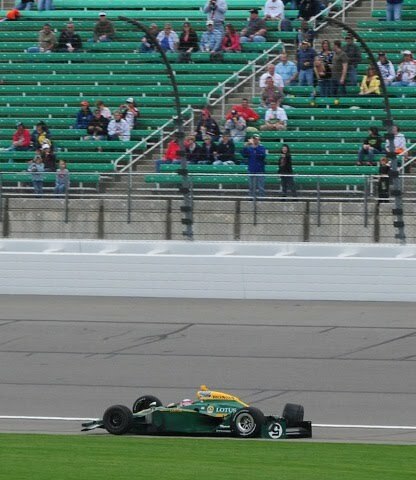 IndyCarNation Lap 166: #9 Dixon leads #10 Franchitti by 2.1169 seconds. #32 Moraes on pit road for four tires and fuel. pressdog Just watched J Andretti inhale RHR live. Nicely done. MyNameIsIRL Yup. RT @mrt_history: I think the races in Sao Paulo and St. Pete were more interesting than this oval. Never thought I'd say that! pressdog Sarah is having serious rage issues on the radio. Did I miss smthing? TheEDJE Swiss Chard! De Silvestro helps out in taking Sato and Mutoh out. MyNameIsIRL Ironically, if we finish under yellow it might actually be a closer margin of victory. pressdog Sarah rage: Jay tried to pass. She gave as much room as she could but he got int the marbles. No contact. 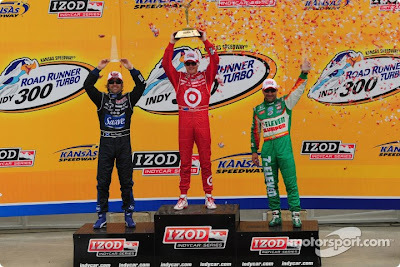 autoracingnews Scott Dixon wins his second consecutive race at Kansas Speedway. 23rd win and 16th on Ovals! He did this by leading 74% of the laps. scottdixon9 Dominant performance as Scott goes back-to-back @KansasSpeedway for his 22nd Indycar win! PippaMann Fast and furious finish to the Kansas Indy Car race. 27 days until the Freedom 100!!! BRING IT!!!!! 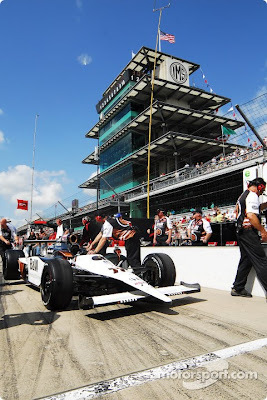 Next stop ... 2010 Indianapolis 500, Speedway, IN - Sunday, May 30 - broadcast live on ABC at 12:00 noon ET.